NEW - Flash Cards added at the Bottom of this Page! Your ear is the receptor organ responsible for the sensing auditory (hearing) and vestibular (equilibrium) information. 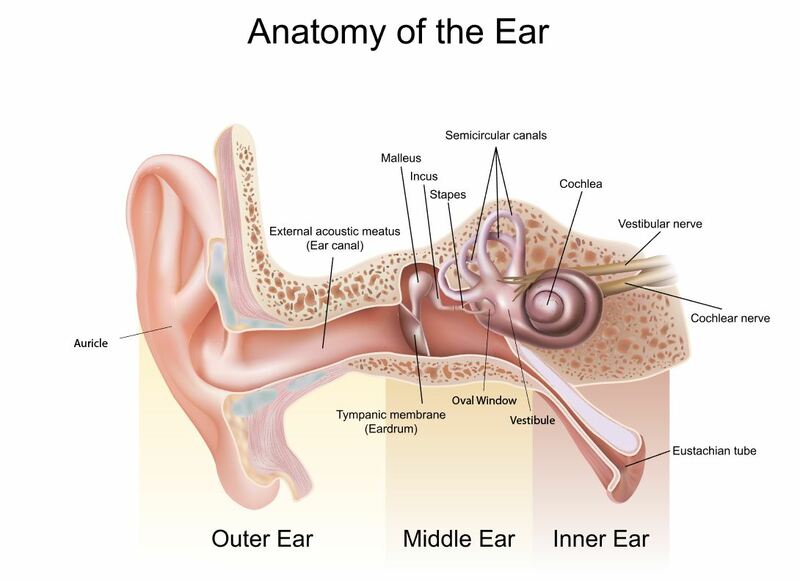 The ear has 3 main regions; the outer ear, the middle ear and the inner ear. 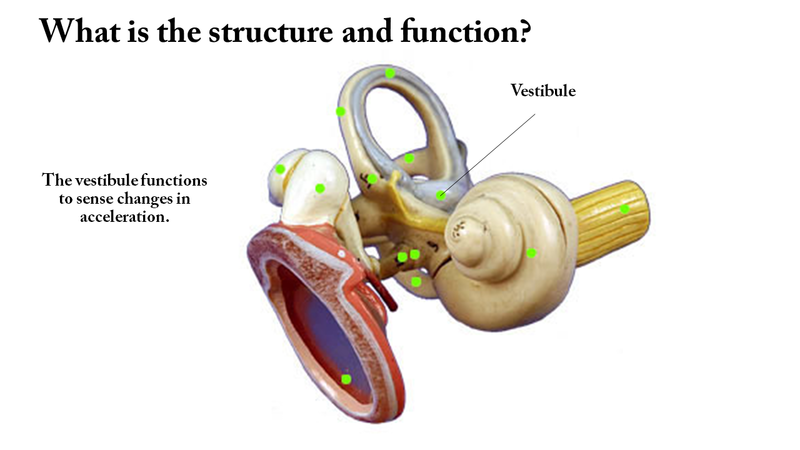 Auditory sensory information is sensed by the outer and middle ear, whereas vestibular sensory information is sensed by the inner ear. The outer ear (or the external ear) includes the auricle (pinna) and the external auditory canal (also known as the external auditory meatus). ​ The outward visible portion of the ear is called the auricle, or pinna. It's unique shape somewhat resembles shell, surrounded by a couple of key features. At the top, the auricle is surrounded by a lid-like structure. 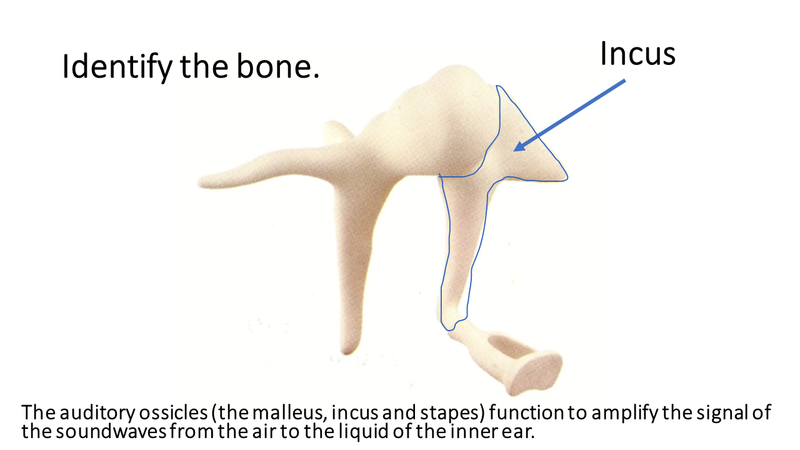 the bottom or inferior portion of the auricle has the ear lobe. 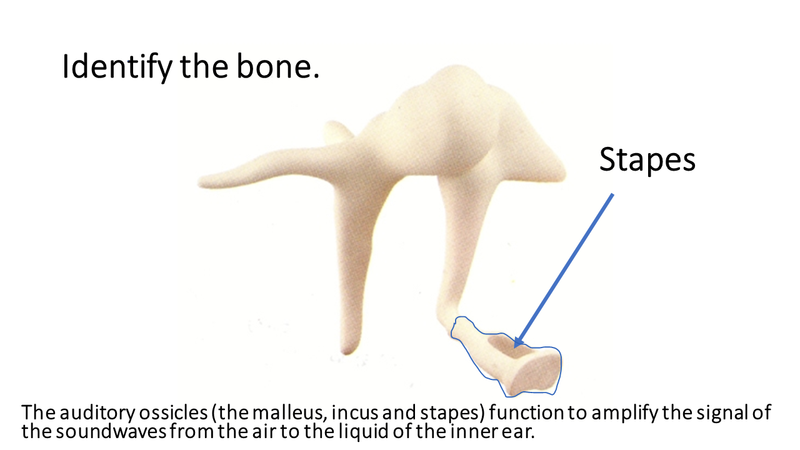 The auricle of the ear is composed of elastic cartilage which gives it its unique flexibility. 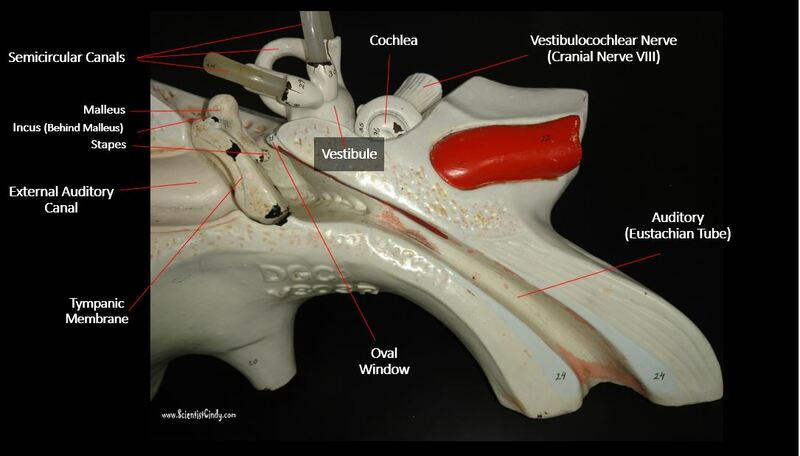 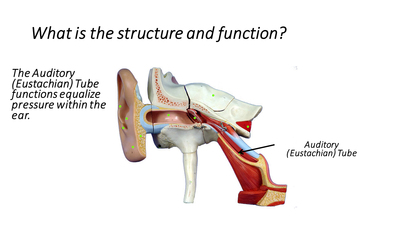 ​ The function of the auricle is to gather auditory information from the outside world and to funnel that information into the external auditory canal (external acoustic meatus). 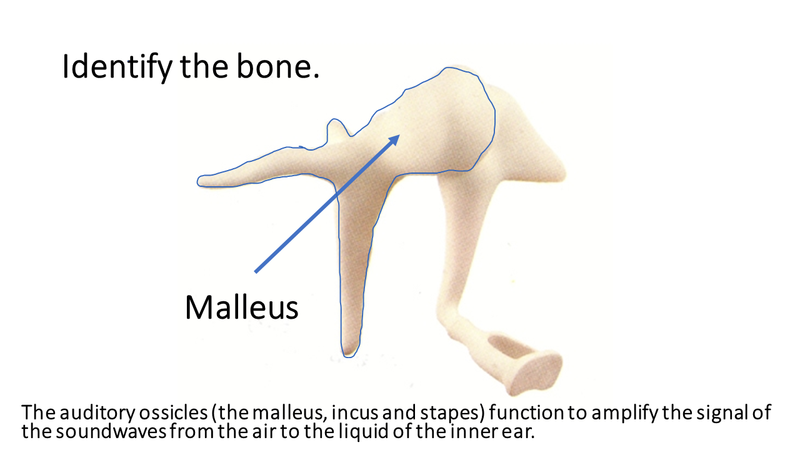 You may wonder why the auricle has such a unique shape. Sound waves are generated by the physical disturbance of particles generated by vibrations. 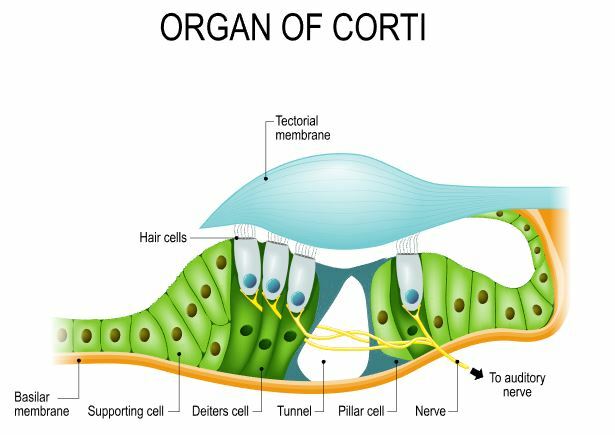 Your brain picks up on the way these sound waves interact with the unique non-uniform shape of the auricle and determines an approximate vertical location of the source of that sound. In other words, the shape of the auricle gives your brain information on whether the sound comes from above or below. The auricle directs sound waves to the external auditory canal. The outer 1/3 of the canal is made up of elastic cartilage as well, but then becomes surrounded by temporal bone as is burrows its way through from the auricle to the middle ear. In most people, the external auditory canal is approximately 2.5 cm in length, and runs from the auricle to the ear drum. The outer ear is separated from the middle ear by the ear drum or the tympanic membrane. Tympanum is Latin for "drum". It consists of a thin, translucent membrane. As sound waves reach the tympanic membrane, causing the membrane to vibrate. These vibrations are transferred to the tiny bones of your middle ear. 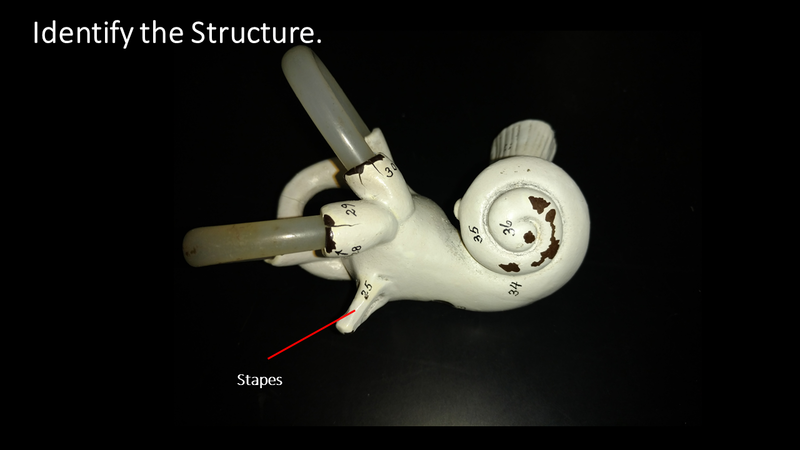 ​ The cochlea is named after the Greek word for "shell or spiral", because of its spiral shape. 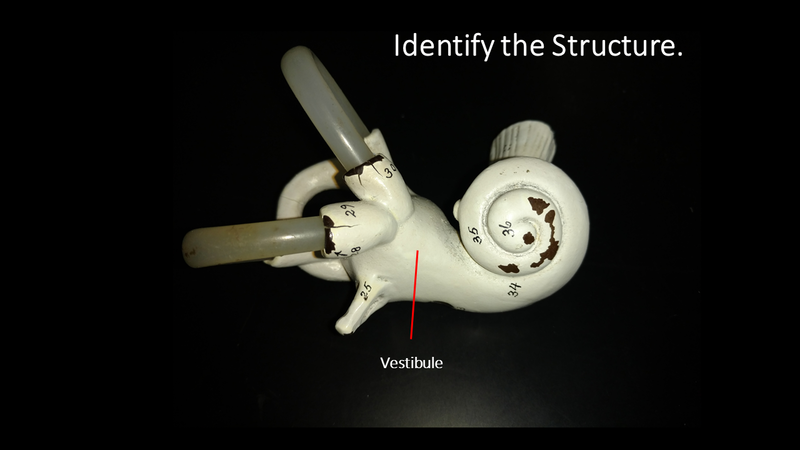 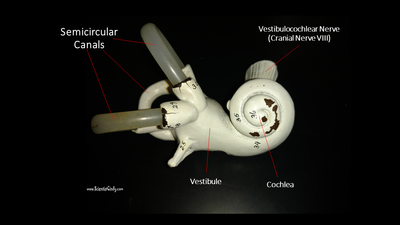 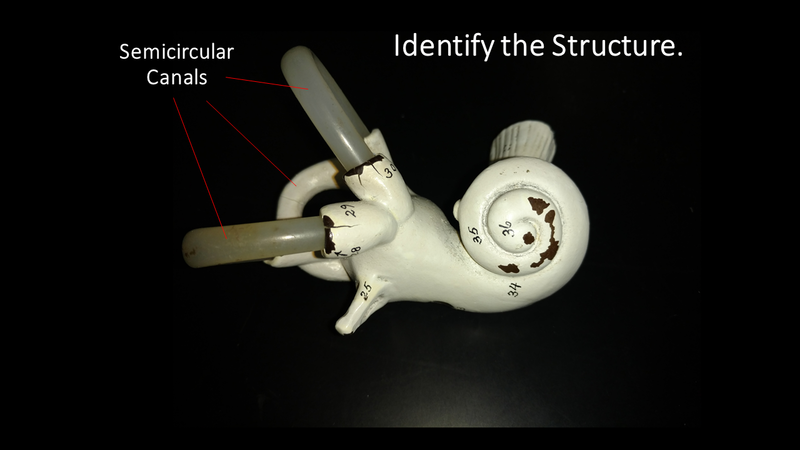 The cochlea is a fluid filled chamber that is continuous with the oval window. 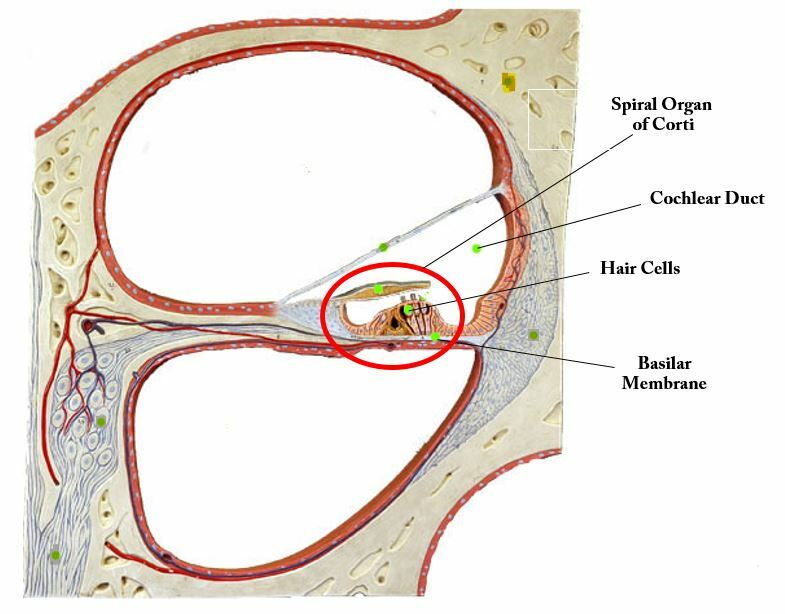 As the liquid of the cochlea is disturbed by movement of the round window, specialized hair cells pick up specific information about the tone, pitch and amplitude of the sound. The middle ear begins at the tympanic membrane and ends at the oval window of the inner (or internal) ear. 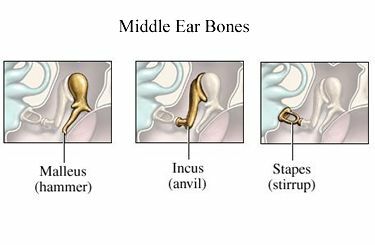 The middle ear contains the 3 smallest bones of your body, called the ossicles, that lie in the hollow chamber of the middle ear, called the tympanic cavity. 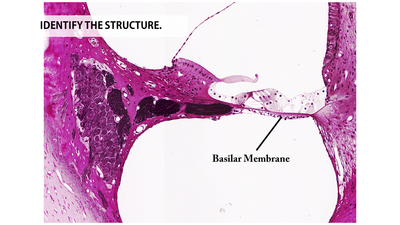 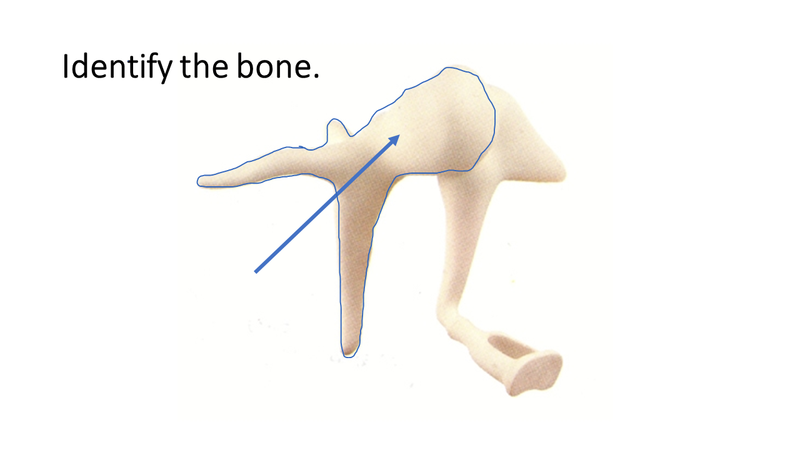 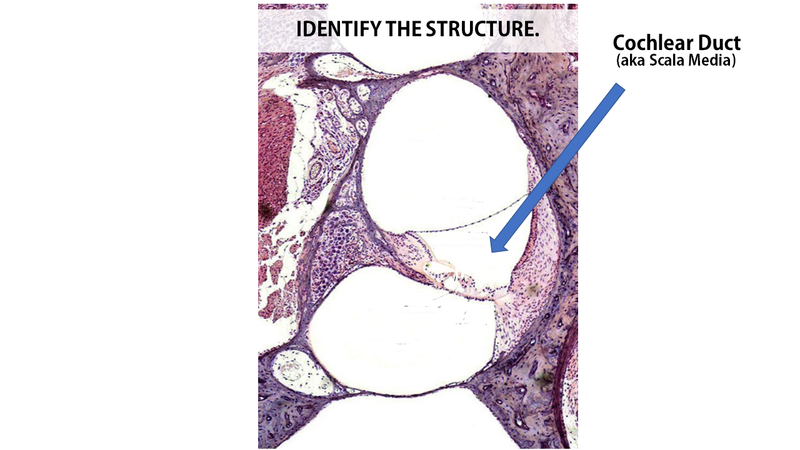 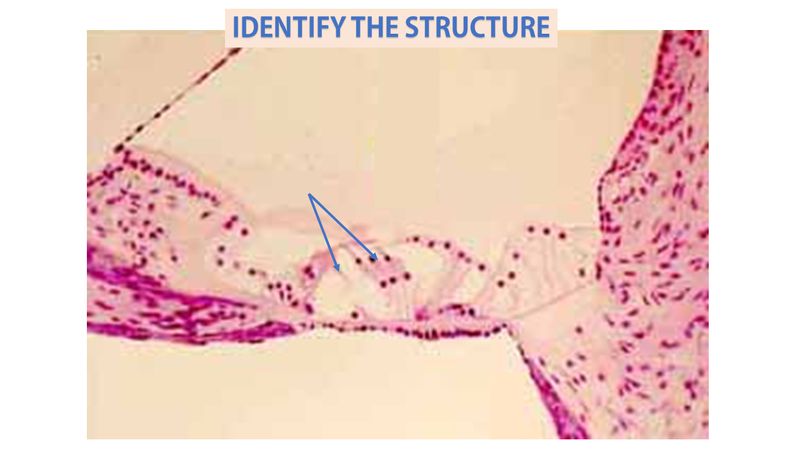 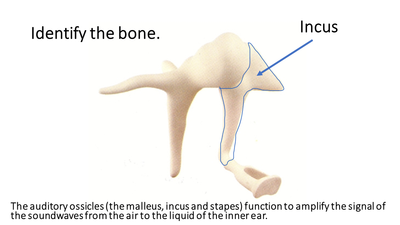 The term "ossicle" literally means "tiny bone". The primary function of the middle ear is to transfer sound wave information from the air, to liquid waves in the cochlea. 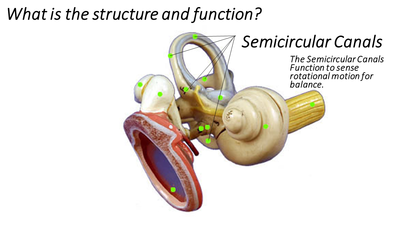 The inner ear (or internal ear) detects sensory information for sound and balance. The inner ear has organs dedicated to sensing sound information and organs dedicated to balance or equilibrium. 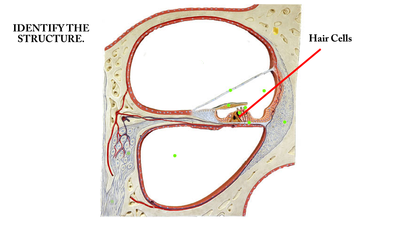 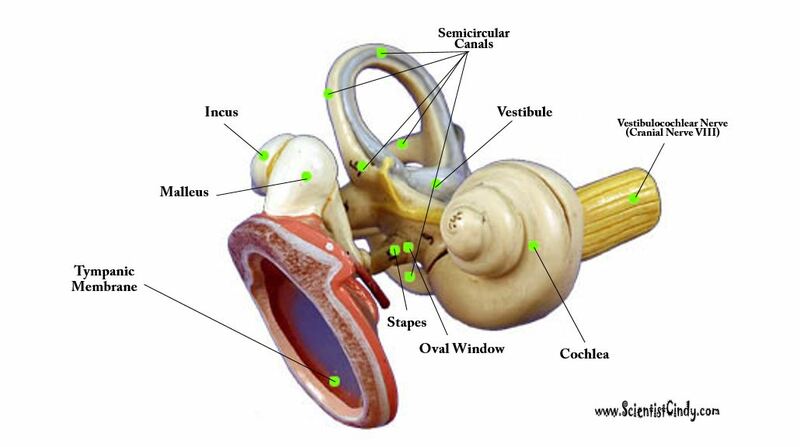 ​ The inner ear is composed of the vestibule, the semicircular canals, and the cochlea. The cochlea's main function is to convert sound pressure patterns into electrochemical impulses to the brain via the auditory nerve (part of the vestibulocochlear nerve - Cranial Nerve XIII). As the stapes moves the membrane of the oval window, the oval window, pushes against the liquid of the inner ear (called perilymph), which causes the liquid of the inner ear to move. Sound travels as a compression wave (or pressure wave) through the air (see the animation of a sound wave). 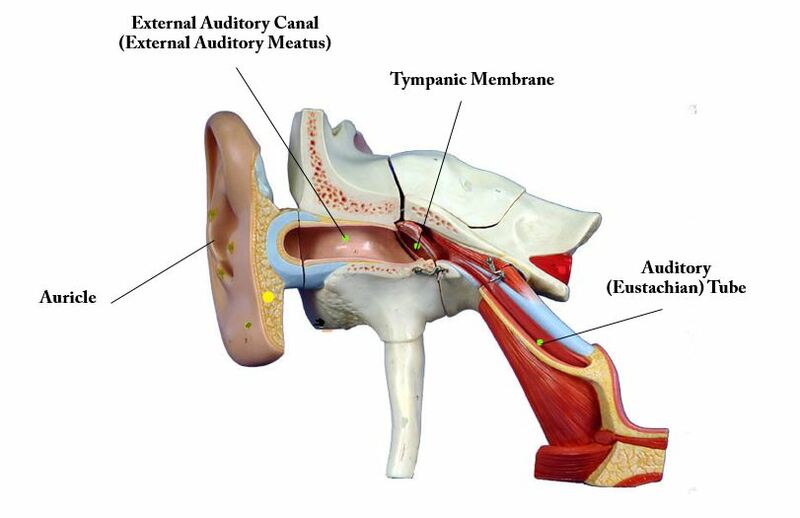 These waves travel through the external auditory canal and hit the tympanic membrane of the middle ear, causing it to vibrate. 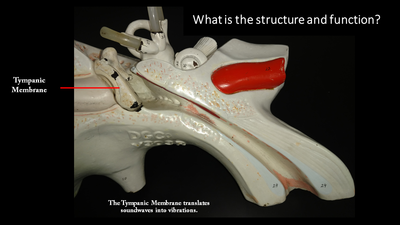 In the middle ear, the vibrations of tympanic membrane cause vibrations of the three auditory ossicles. 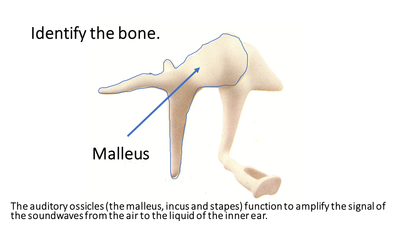 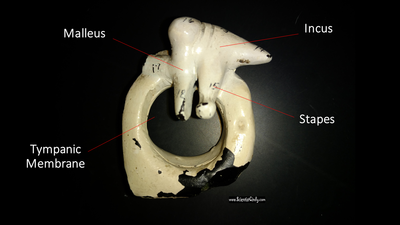 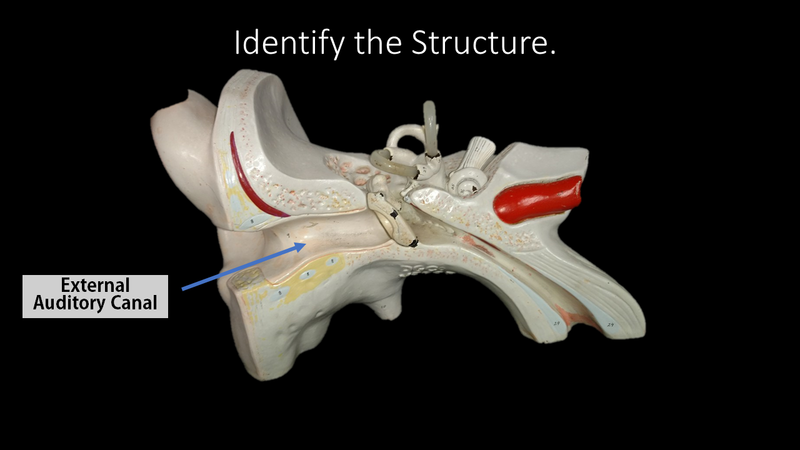 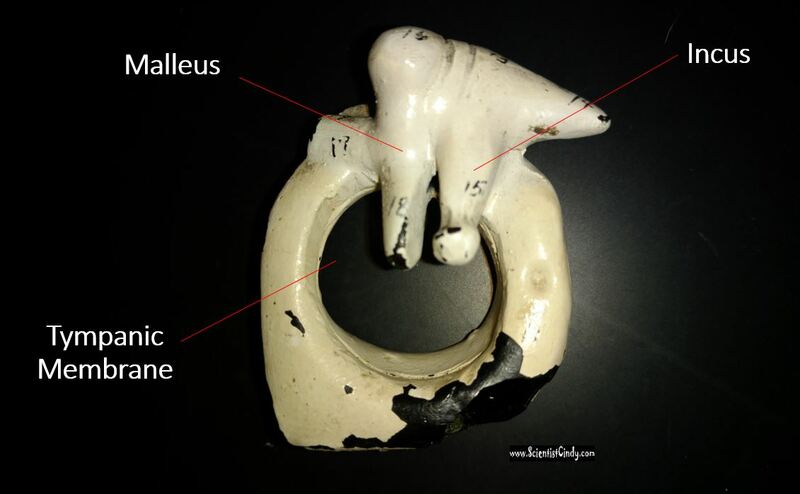 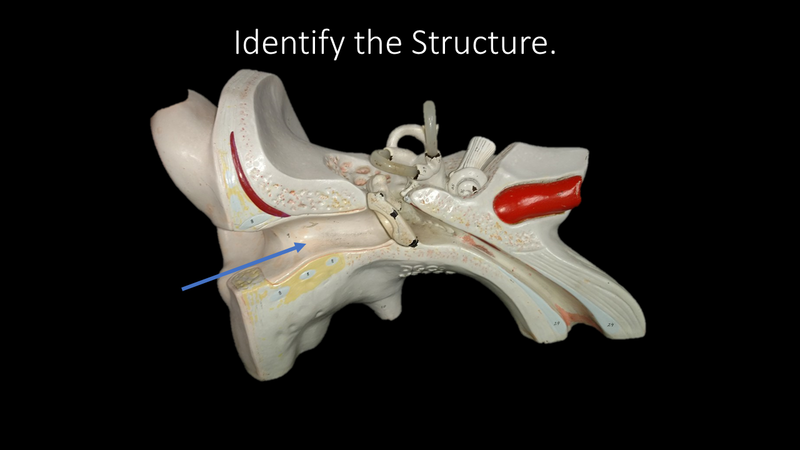 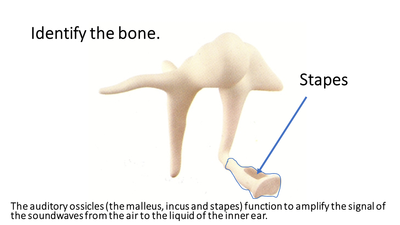 The pressure waves move the malleus, which moves the incus, which then moves the stapes. 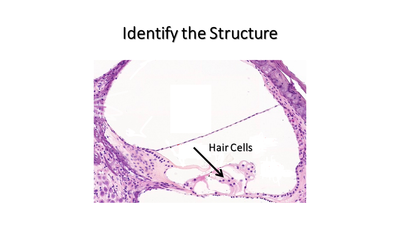 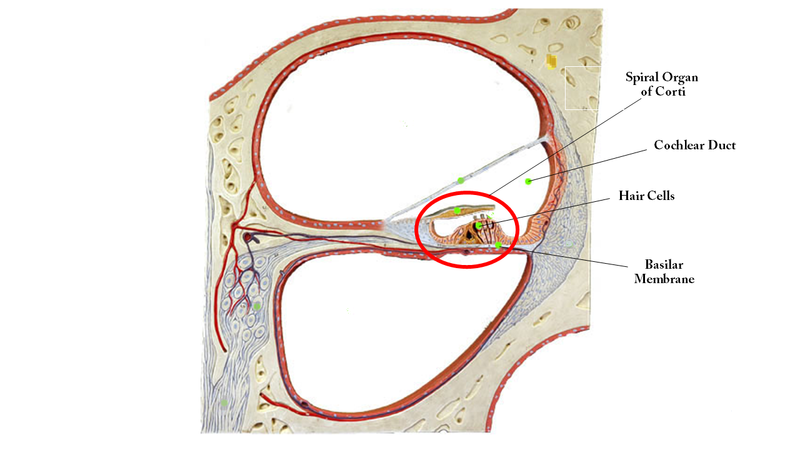 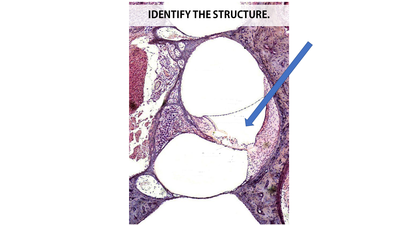 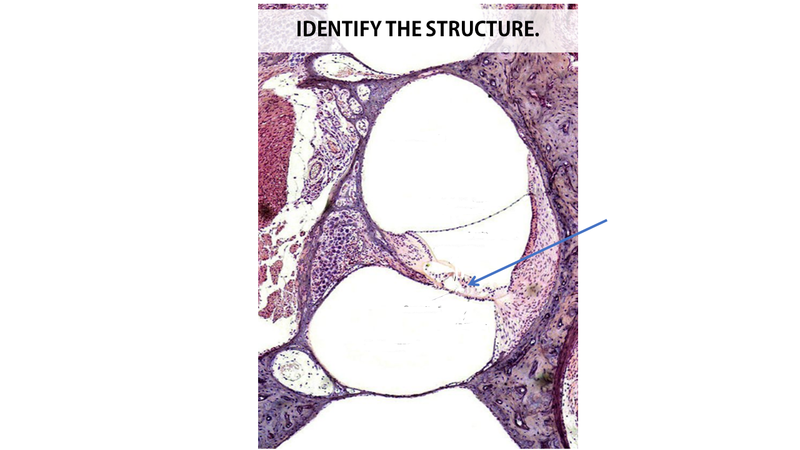 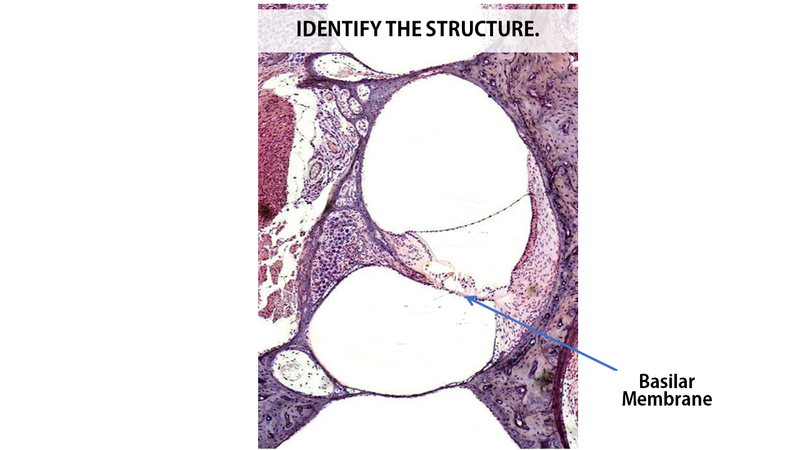 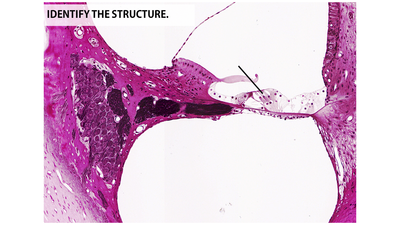 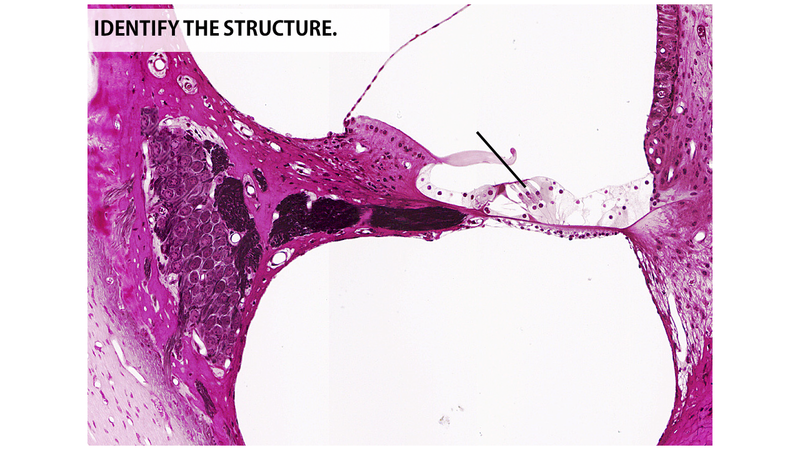 A portion of the stapes is connected to the oval window, so that as the stapes moves, the thin membrane of the oval window which connects to the inner ear. 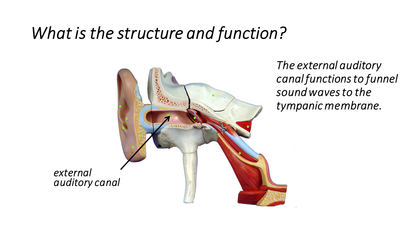 The middle ear essentially functions to convert the energy from sound pressure waves to a physical force on the fluid of the inner ear. 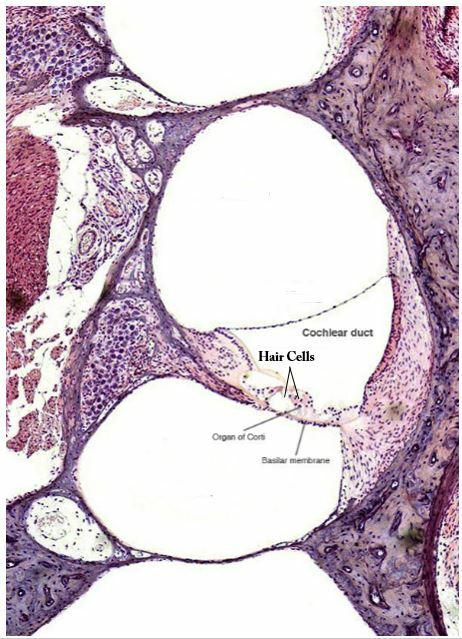 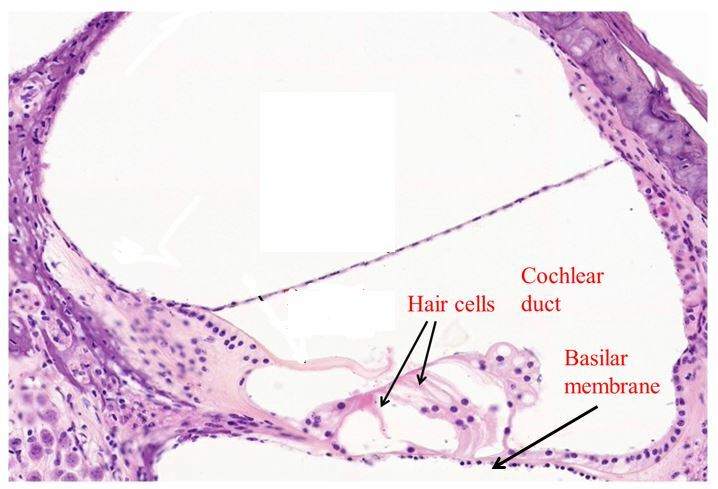 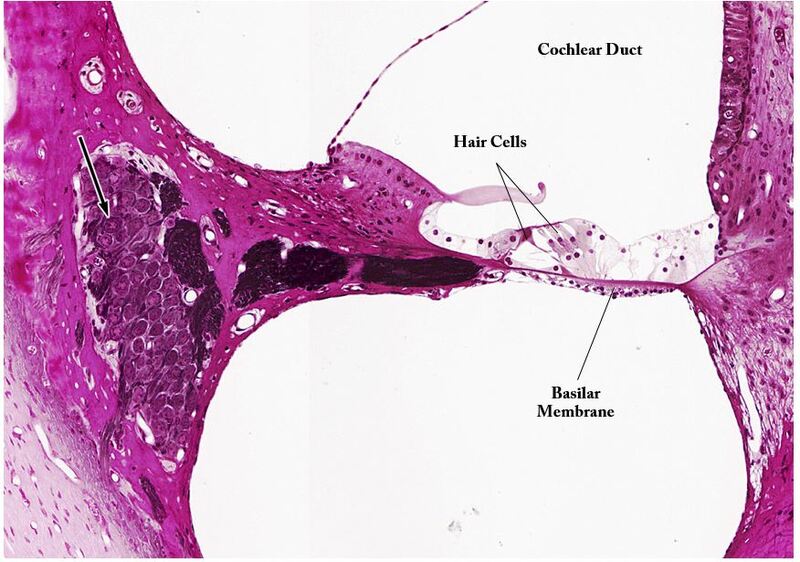 Hair cells in the cochlea send this sound information to the brain via the auditory nerve, which is part of the vestibulocochlear nerve (cranial nerve XIII). 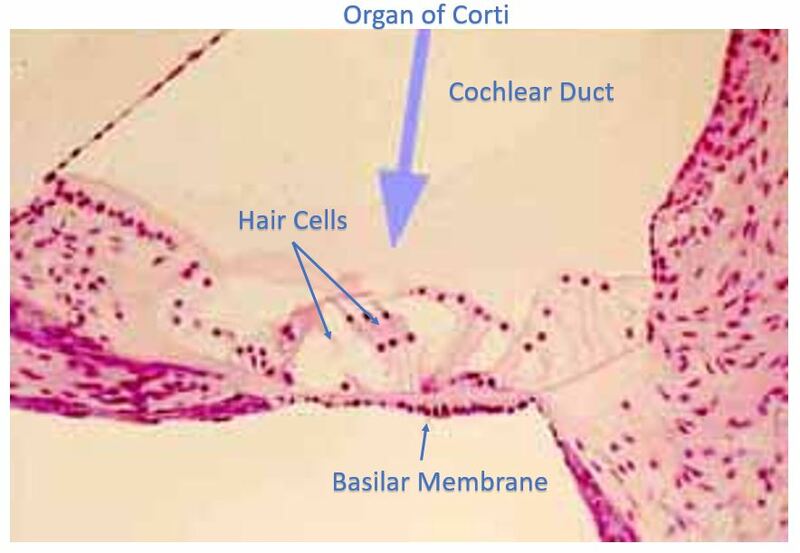 Practice Identifying the cochlear duct and the spiral organ of Corti (including its basilar membrane and hair cells) in the slides below.